Pesto: you’ve had it on pasta or maybe as a dip. Let us introduce you to yet another way to use this Italian favorite. 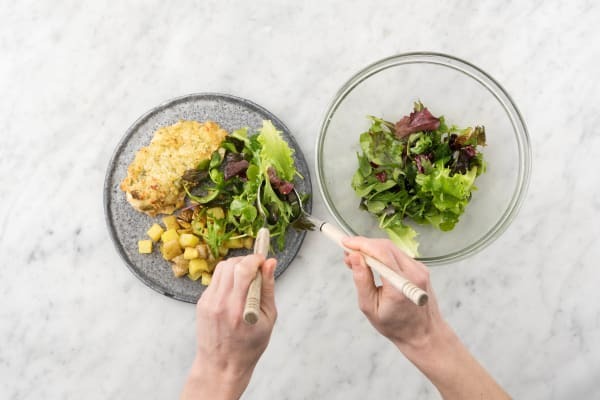 Here, we’re spreading it onto oven-roasted chicken breasts, using it as a glue to hold down a layer of panko breadcrumbs. That way, you get herby aromatics, meaty juices, and crispy golden goodness in every bite. Sounds like a crowd-pleaser to us. Wash and dry all produce. Adjust rack to upper position and preheat oven to 450 degrees. 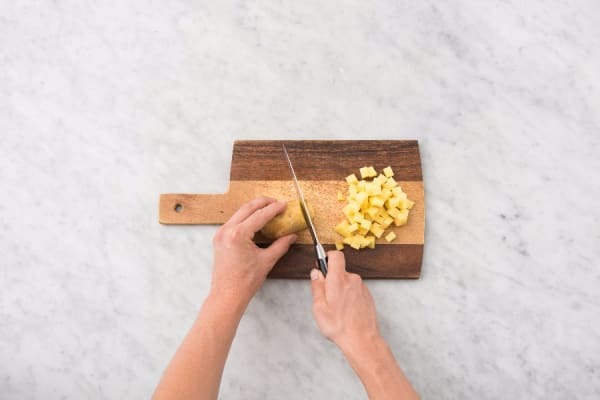 Cut potatoes into ½-inch cubes. 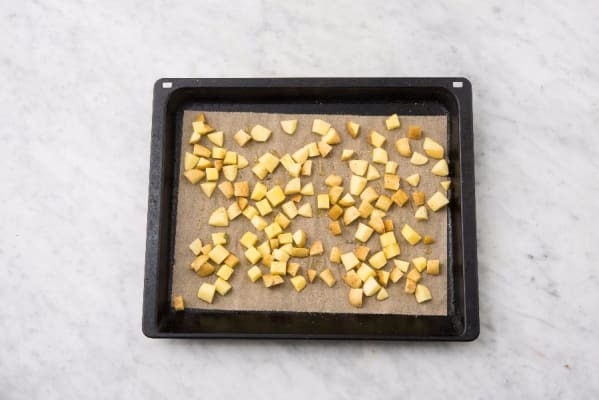 Toss potatoes on a baking sheet with a large drizzle of olive oil and a pinch of salt and pepper. Roast in oven until browned, 20-25 minutes, tossing halfway through. 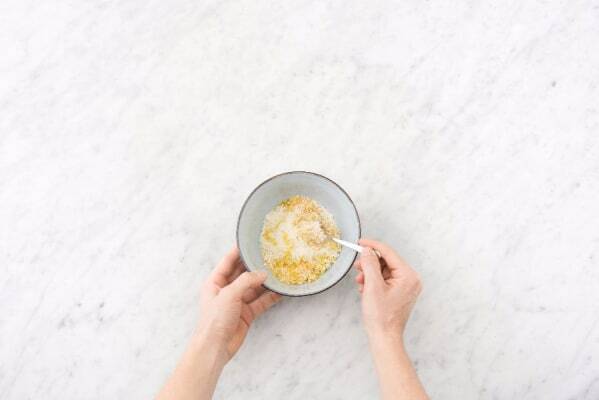 In a small bowl, combine panko, mozzarella, a large drizzle of olive oil, and a pinch of salt and pepper. 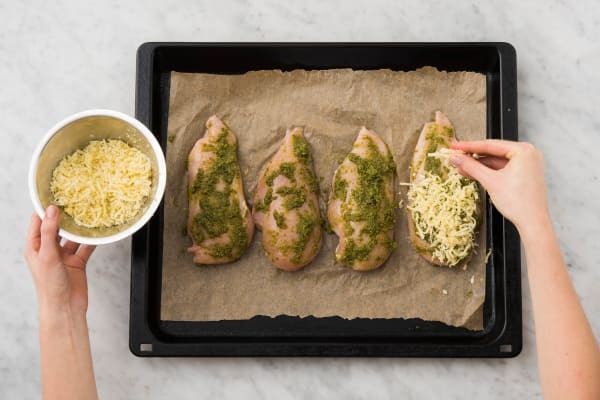 Place chicken on another, lightly oiled baking sheet. Brush 1 TBSP pesto onto top of each piece (you will have a little pesto left over). Press crust mixture into pesto to adhere. Roast in oven until chicken is no longer pink in center, about 20 minutes. Halve lemon. 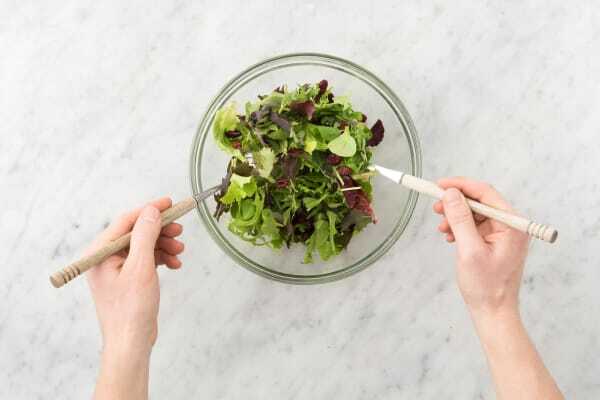 In a large bowl, toss together mixed greens, a squeeze of lemon, and 4 tsp olive oil. Season with salt and pepper. 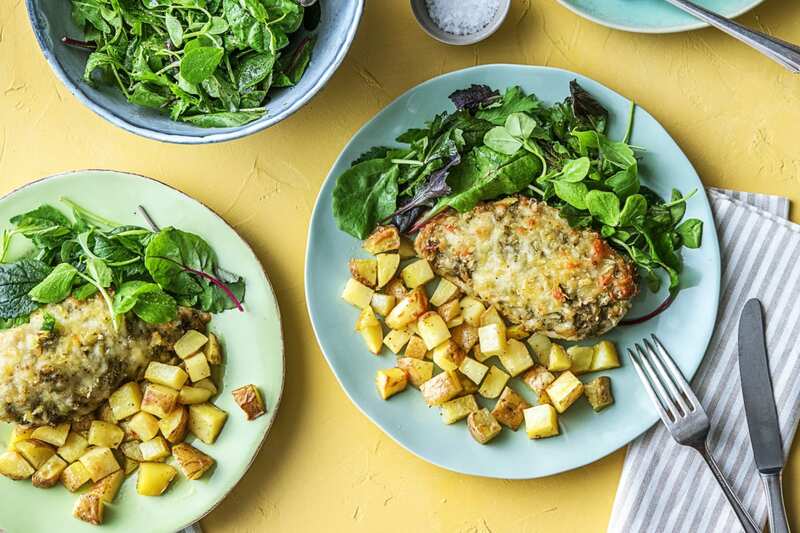 Divide potatoes and chicken between plates. Serve with salad on the side.